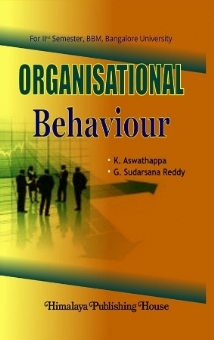 Organisational Behaviour is a subject which has its impact on the attitudes and behaviour of students. Viewing from this angle, this subject is more useful than others. The Board of Studies in Commerce deserves our compliments having introduced Organisational Behaviour to the BBM students. We have brought out Organisational Behaviour to meet the specific of the BBM students of Bangalore University. Besides being comprehensive coverage, the book is rich in pedagogy also. The book is full of figures and tables. Every chapter is appended with classified questions and skillbuilding exercises. We hope that Organisational Behaviour serves the purpose for which it is meant. G. Sudarsana Reddy is Professor of Management at Seshadripuram Institute of Management and Studies, Bengaluru. He is an MBA, M.Com, MFM, and Ph.D. He has been teaching Postgraduate Subjects for the last eleven years in the areas of Financial Management, International Financial Management, Project Appraisal and Finance, Security Analysis and Portfolio Management, and Financial Institutions and Markets. He has published five books - "Essentials of Financial Management, Advanced Financial Management, Financial Management: Principles and Practice; Financial Management and Strategic Management." He coauthored eight books - "Strategic Management : Text and Cases; Management and Behavioural Process; Management and Organisational Behaviour; Business Environment for Strategic Management; Business Law; Production and Operations Management; Organisational Behaviour; and Business Environment." He has published more than 50 research papers in the journals of all-India repute. He has also presented more than 25 papers in the national and international seminars. K. ASWATHAPPA is a former Dean, Faculty of Commerce and Management, Bangalore University and Former Director, Canara Bank School of Management Studies, Bangalore. 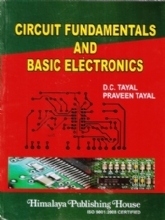 He has published more than 25 books on different areas of commerce and management. He has guided more than 25 Ph.Ds. and has adjudicated theses of several universities. He was the member of several bodies in Bangalore University and on the Boards of Studies of many other universities. Currently, he is a visiting professor in several B-Schools and is active in revising and writing books.